Tony Jacobson created this quilt in honor of his nephew Eric who has served three tours of duty—two in Iraq and one in Afghanistan—as a member of the Iowa National Guard. 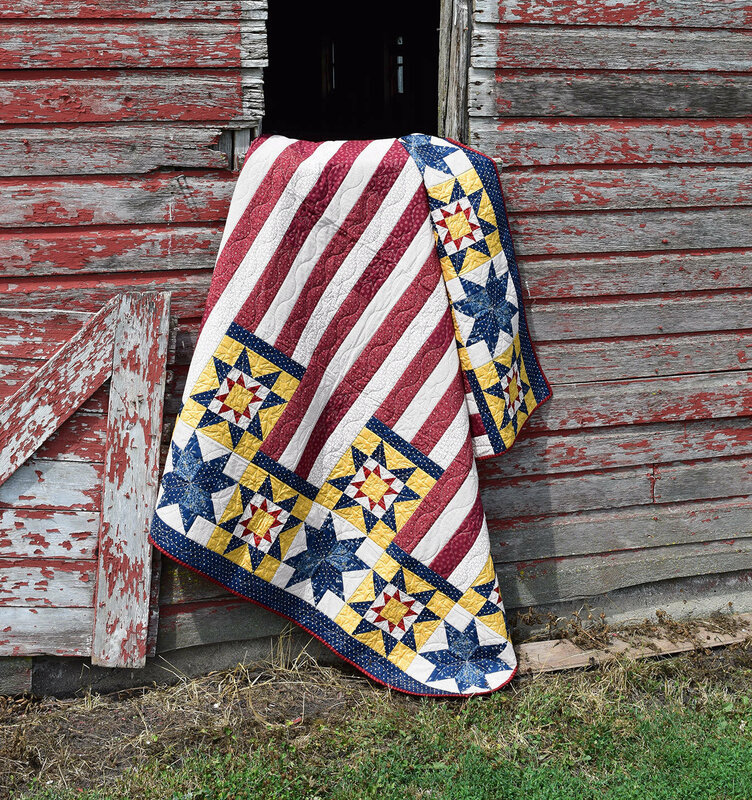 This pattern combines rising star blocks and stripes to create a striking design. 70" x 78" finished size.